Tonya. 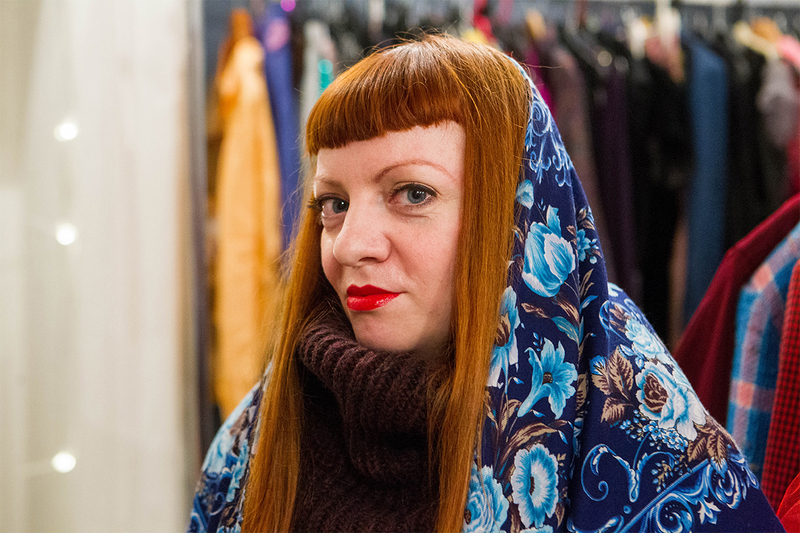 "The shawl for me is a feminine symbol, not an ordinary accessory. When I wear it, I always feel more feminine and I become calm and tender. My mother gave it to me as a keepsake, because there is continuity among the women in my family. You inherit not only a thing, but the tradition." 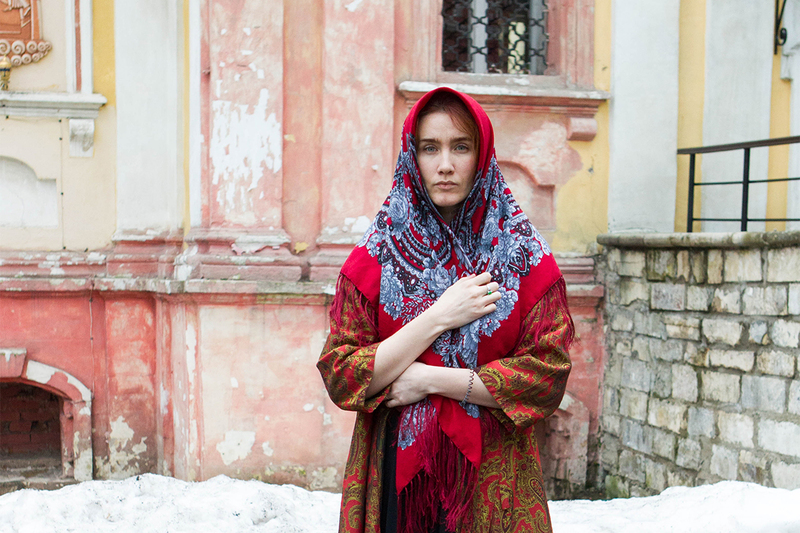 With its natural texture and colorful traditional patterns, the Pavlovsky Posad shawl boasts the 200-year history and is still in trend. 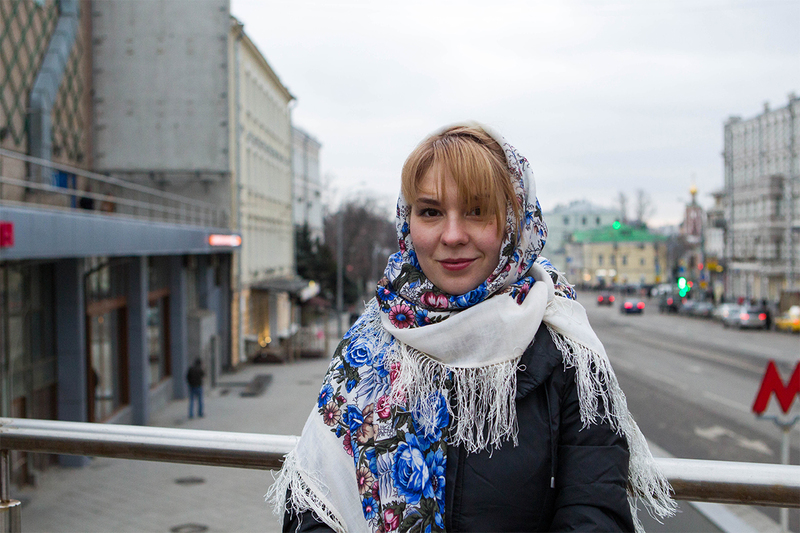 Why do young girls in Moscow wear traditional shawls? Alya. "I’ve liked this shawl since childhood: it’s bright and beautiful, and there’s a large choice of patterns. There’s something native about it." Masha. 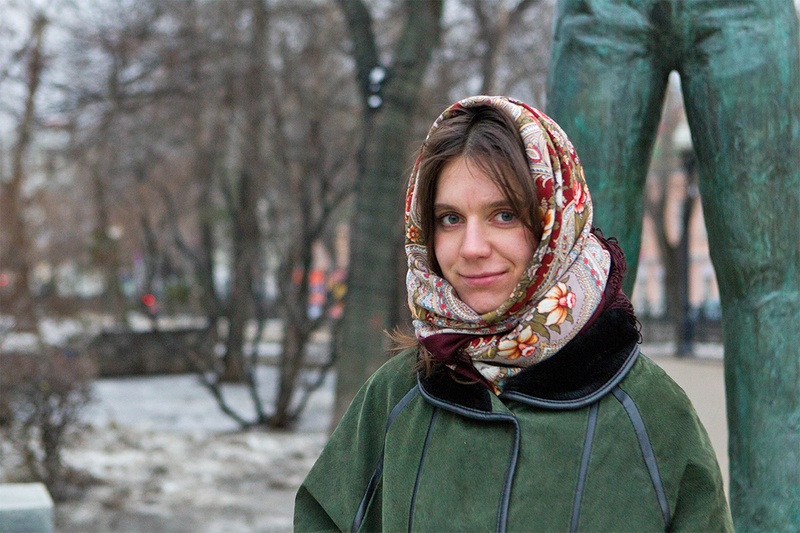 "The shawl is extremely warm. I can tie it round my head. It keeps me warm when I’m out and about, and it’s also beautiful." 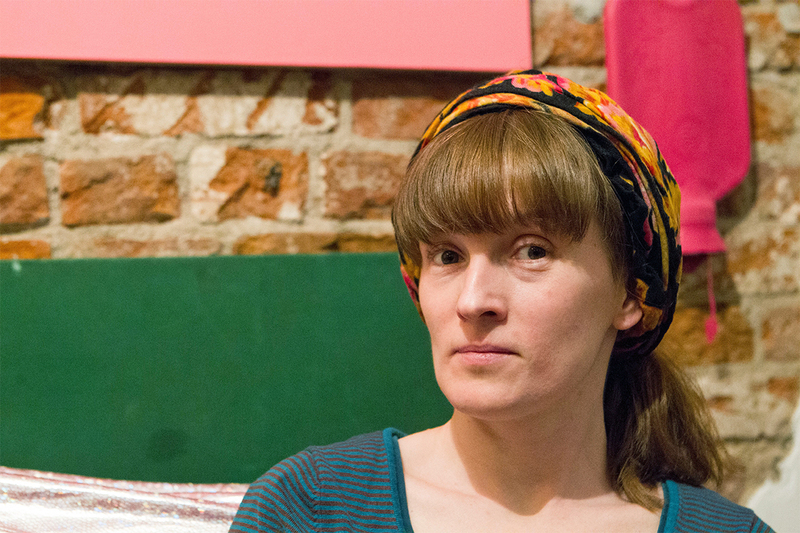 Luba. 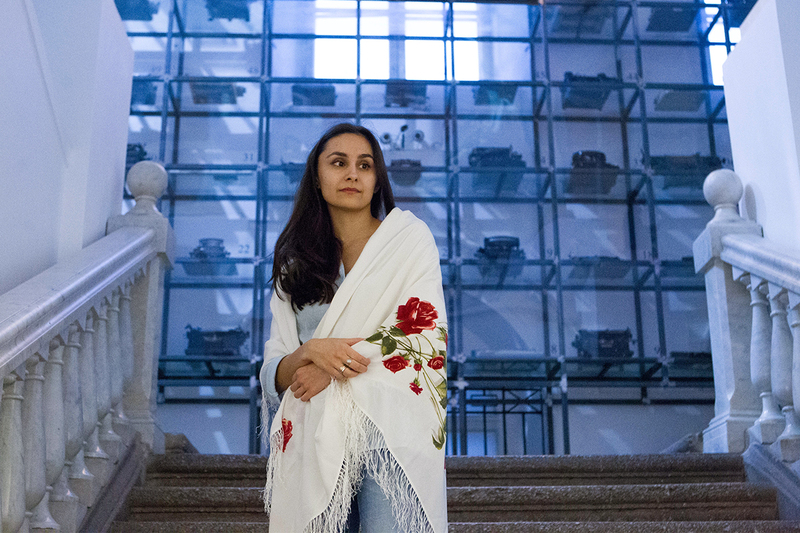 "This shawl was given to me by my grandmother. It means a lot to me." Katya. "I notice that many girls now are wearing shawls. Most probably think it’s trendy or fashionable. I find shawls attractive. If I’d found them earlier in my grandma’s dresser, I’d have started wearing them even earlier." Zina. "The shawl is beautiful and stylish, you can wear it as a shawl, you can cover your head with it like a turban or wrap it round your neck like a scarf." Anya. "It’s warm and well made. I think it goes well a fur coat, and doesn’t look as clumpy as a scarf."